This year, I made three resolutions – blog more, donate more, and be more productive. 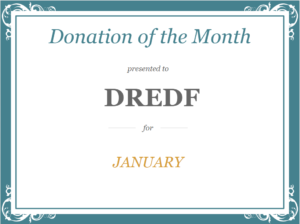 I’m going to hit all three with my new blog feature, Donation of the Month. Every month, I will give to an organization that has done something, digitally, to move me. Then I will write about it. (Donating + Blogging) x Productivity = New Years Resolutions Hit out of the park! Unlike my other posts, this is not about data. The things that move me to donate have not been tested for statistical significance. They may not work on most of your donors. Instead, this is an exercise in understanding the emotional aspects of a donation. I come from a long line of teachers, and care a lot about education. I have a concerns about the upcoming American administration. Actually, as a parent of a child with disabilities, I’m kind of in a panic. Many of the supports that the disability community relies on come from federal laws that will be under attack in the coming months I wanted to get organized and advocate. But I had a really hard time finding an organization that had really good legal and legislative information with a disability focus. There are a lot of civil rights organizations that include disability in their umbrella, but they didn’t have enough information. And there are a lot of disability organizations who engage in advocacy, but it’s not their primary focus, and so more recent and detailed information is lacking. On December 4th, Anderson Cooper ran a piece on 60 minutes on the ADA that was so vile and misleading, I refuse to link to it. The disability community went wild. And on December 13th, I found this blog post about it on Twitter. The piece spoke to my outrage. I looked more closely at the author and the organization behind the blog post, The Disability Rights Education & Defense Fund (DREDF). The DREDF is a civil rights law and policy center directed at individuals with disabilities and their families. Their blog is written in the voice I had been looking for. Their Facebook feed was distributing exactly the policy information I had been seeking. Now, not a day goes by now where I don’t check DREDF’s social media feeds. 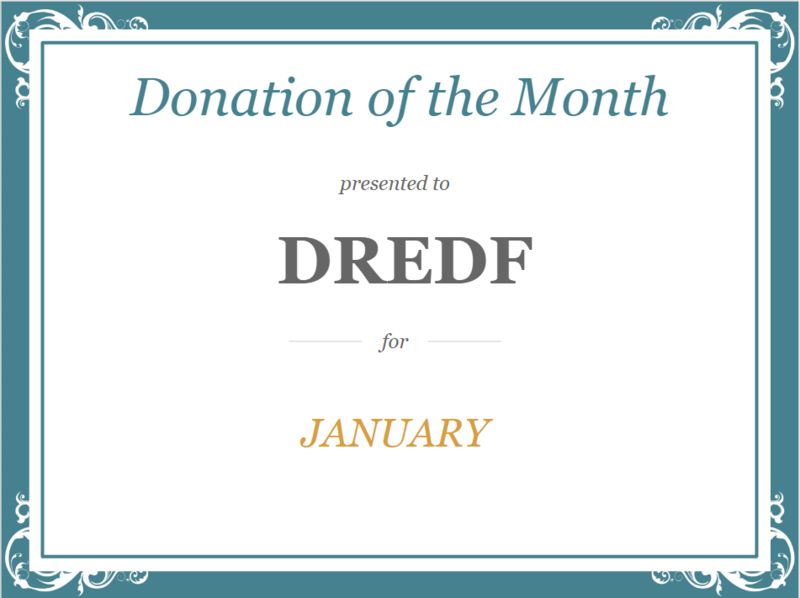 So, DRDEF, for giving me timely and solid policy information I’m looking for on a topic that should be way more popular than it is, and distributing it effectively through social media, you get my Donation of the Month for January. If you like this kind of work, go ahead and donate to DREDF. « I Don’t Trust Session Duration, and Neither Should You.